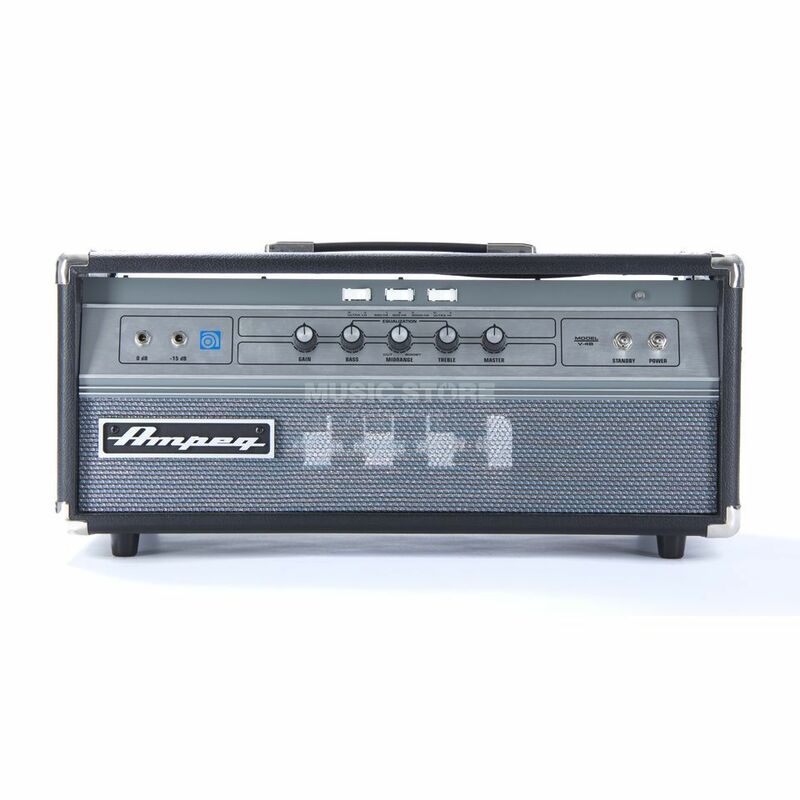 The Ampeg V-4B bass guitar amplifier head is a modern reissue of the legendary, much-loved original model that was first released in 1971. The Ampeg V-4B features all-valve pre- and power-amps, with the power amp producing 100 watts thanks to its compliment of four 6L6GC valves. The pre amp comes equipped with a pair of 12AX7 tubes and includes a driver section that is fitted with a single 12AX7 and a single 12AU7 valve. The pre amp also features a three-band EQ with Ultra Hi/Lo switches and a three-position rocker switch that selects the mid tone frequency. To give the Ampeg V-4B a more modern edge, it comes equipped with a -15dB input for use with active instruments, an integrated balanced DI output and multiple speaker outputs.